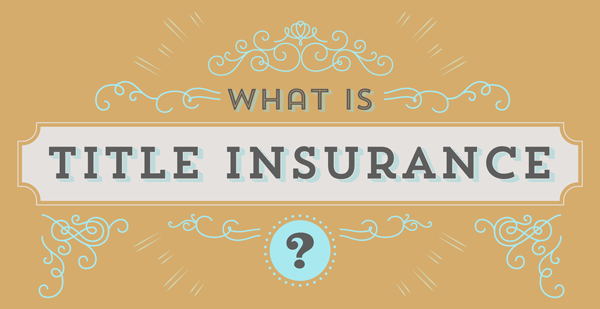 Title Insurance provides coverage against losses incurred by the named insured caused by the title to the property being other than how it appears in the policy. Title insurance is unique as it insures the past as opposed to other types of insurance which insure against future perils. Further, title insurance is purchased with a one-time premium payment rather than recurring payments like most insurance. In the overwhelming majority of real estate transactions, the buyer and/or lender for the buyer will insist on title insurance to protect their interest in the property. Although claims are relatively rare, they are typically for large amounts. The title company will do a record property search and prepare a title commitment which outlines what the title policy will cover with exceptions for any liens or encumbrances that will appear against the title once the actual policy is issued. It will also contain requirements which must be fulfilled before the policy will be issued. An example would be a requirement that an existing lien is paid off in order to issue the policy without taking exception to any such lien. Most property has a loan with a security interest in the form of a deed of trust or mortgage that will be paid off at the time of sale so the new buyer’s loan may secure a first lien position. There are many other liens and encumbrances that may also appear once a search is done, such as: judgment liens, lis pendens, mechanic’s liens, tax liens, covenants, restrictions, easements and rights-of-way. Title insurance also covers many hidden risks not discoverable through a title search. Examples of such hidden risks are losses resulting from forgery, incompetency or incapacity of the parties; fraudulent impersonation and unknown errors in the records. Like other types of insurance, title insurance can be obtained either directly from the underwriter or from an agent for the underwriter. The policy that is issued in either scenario is written on the same underwriter “paper” and the price is the same. The closing fees may (and usually do) differ among different agents and underwriters. By using an agent such as Cherry Creek Title Services, the consumer can save on closing fees and obtain the superior service that a locally owned agency offers, while still obtaining the same policy. The financial strength of the underwriter is crucial in choosing a title insurer, since that will determine the ability and willingness of the underwriter to pay claims that arise. This information is available at the Colorado Division of Insurance and also through independent rating companies. Cherry Creek Title Services is an agent of First American Title Insurance Company. When selecting an agent, investigate their level of experience and their record at the Colorado Division of Insurance. Cherry Creek Title Services began operations in 1992 ( incorporated in 1997), and has a flawless record at the Division of Insurance. The majority owner is an attorney who also possesses a clean record at the Colorado Supreme Court, the regulatory body for attorneys.